called "prayer" because it is included in the du'aa'. with delivery, with intention, with specific ribbons. What is the ruling on praying? It is obligatory to pray to a Muslim who is a wise man. not have to pray. And he sleeps until he wakes up. " When was the prayer imposed? leniency. God Almighty made them five to five. In pay. unless the sins are cheated." left of it?" They said, "There is nothing like the five prayers. God forgives them of sins." of the obligatory duties. Prayer on its time is the best deed to Allaah, and it is expiation for sins. 2 - maximize the destiny of God. 3 - adornment and good preparation for prayer. 5 - Preserving the prayer in Gamala. 6 - Speeding up the performance of prayer at the first time. 7 - Walking to pray with a knife and dignity. 8 - not to pray in the presence of food. 9 - rush to the first row. 11 - The use of siwaak at every prayer. 12 - Be careful to pray openness. 13 - reverence in prayer. 14 - not paying attention to prayer. 15 - Avoidance of negligence and negligence in prayer. 16 - Perform the prayer with confidence and not rushing in it. 17 - not to look up to heaven in prayer. 18 - follow the imam. 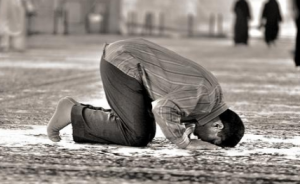 19 - Complete kneeling and prostration. 20. Praise be to Allaah if there is something wrong with him in prayer. 21 - Waiting for prayer after prayer. 22 - Care to perform the years. 23 - performing prayer when remembering or waking up from sleep. 24 - Taking care of the Dhikr after the prayer.